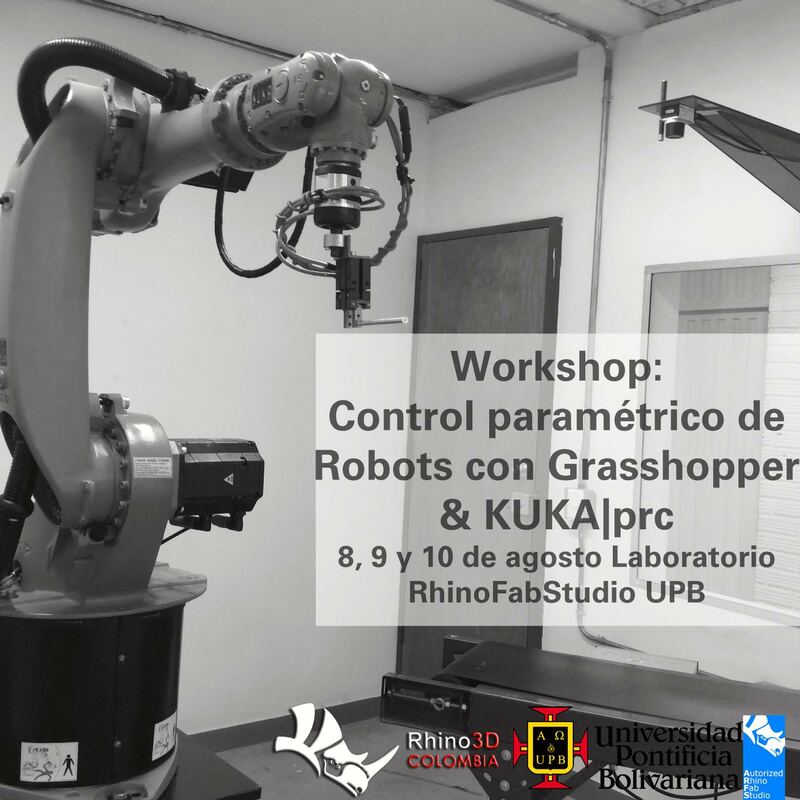 Rhino3DColombia and UPB's RhinoFabStudio is hosting a Parametric Robot Control Workshop with Grasshopper and KUKA! Price: Free entry with previous registration. Instructor: Francisco Quitral, Architect and Professor in the Department of Engineering in Design and Architecture at Universidad Técnica Federico Santa María (USM) in Valparaíso, Chile. The workshop will range from graphic programming with Grasshopper, applied parametric control of the robot, to the execution in practical experience of handling a KUKA robot, applied in advanced manufacturing processes. Free event with prior registration! 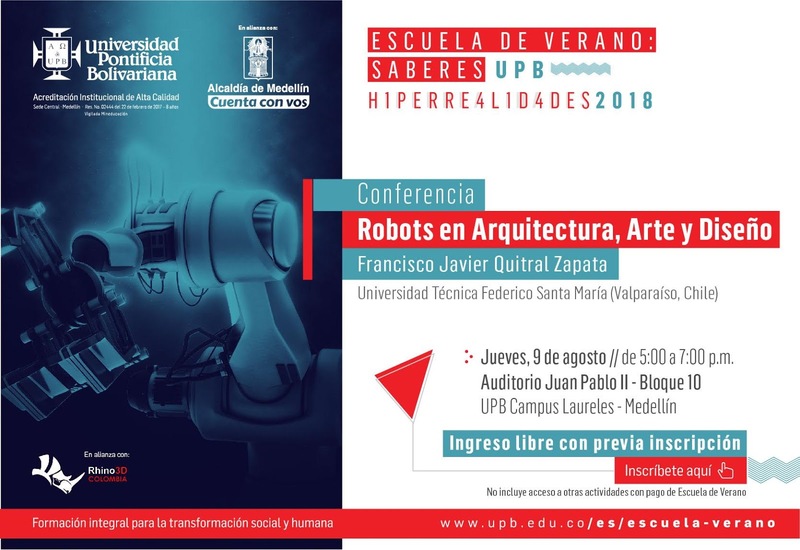 Also, join us for the August 9th Conference in Robots in Architecture, Art and Design, led by Francisco Javier Quitral Zapata. The conference will deal with the new opportunities that robotic manufacturing opens up for architecture, art and design, in a review of the world-renowned developments, and in particular, the teaching and research experiences of USM at Valparaíso, Chile. Andres Felipe Franco by email or call 574-4123015.